For more than a century, Querbes & Nelson has made its home in a historic building of downtown Shreveport. Built in 1871, the building first served as Talley’s Opera House. Just a few years later, in 1873, it was used temporarily as a hospital for Yellow Fever patients. Then, In World War I it provided entertainment as a United Service Organization center. But, the story behind the centennial name that now hangs above the door dates further back and began in France. Antoine Querbes and Alerieux Querbes left France in 1850 to start the American dream in New Orleans. They were the parents of 7 children, all of whom died in childhood, except Andrew Querbes. Andrew was born in New Orleans in 1864 and reared in Mandeville, Louisiana. After his father’s death in 1866, Andrew moved to Shreveport with his widowed mother and opened a grocery store called the New Orleans Store on Commerce Street. The business flourished and developed into a large wholesale firm. In 1889 Andrew married Alexandrine Ricou, the daughter of another prominent grocer, Justin Ricou. Andrew went on to leave the grocer business to serve as Vice President and President of First National Bank along with other public and civic roles, including two terms as Mayor of Shreveport. Andrew and Alexandrine had three children, Andrew Querbes, Jr., Justin R. Querbes, and Randolph A. Querbes. Both Andrew Jr. and Randolph were killed in a fiery plane crash in 1954. Justin R. Querbes went on to graduate from LSU with an agricultural degree. Shortly after his graduation, and marriage to his 16-year-old bride, he founded Querbes & Nelson in 1914. At that time, the firm was Querbes & Bourquin. Sam B. Hicks, a Bourquin nephew, was Justin’s partner. Mr. Hicks died in 1961 and his interest was bought by Querbes & Nelson. The “Nelson” stems from George Dalman Nelson. George Dalman Nelson graduated from LSU law school in 1940 and began an interesting career with the FBI under J. Edgar Hoover. One late night he found himself following Russian spies in New York and decided it was just time to go home. He came back to Shreveport and married Nell Carolyn Querbes, the daughter of Justin R. Querbes. Shortly after, his father-in-law offered him a job. His first day of work at Querbes & Bourquin was April 1, 1947 and he started in the claims department. 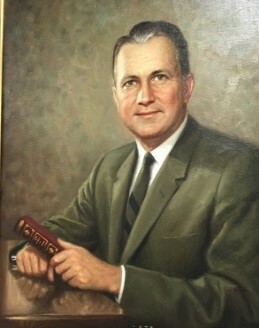 In 1949 he was given his total insurance instruction and training from Mr. Querbes, “Now is the time for you to start selling insurance.” Mr. Querbes also added, “Always act like you’re going to get the business.” George and Nell had 2 children, George D. Nelson Jr., and Carolyn Querbes Nelson. The family bought out the Querbes family interests in 1988. Nell died on January 5, 2002, and George died exactly two years later on January 5, 2004. 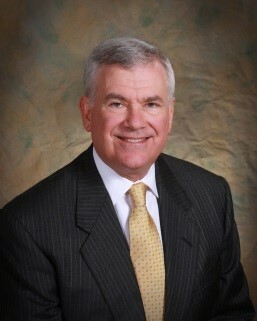 George D. Nelson Jr. joined the firm in 1979. He received his BA from Tulane, MBA from Harvard and JD and LLM in Trial Advocacy from Georgetown. His law career began as Prettyman Fellow at Georgetown, defending indigent offenders in Washington, DC and teaching third-year law students in criminal trials. George developed and honed his insurance skills and became the firm’s Financial Institution Specialist until 1995 when he became the President of Premier Bank/Bank One. In 2000 he returned to Querbes & Nelson and became one of the Managing Directors. George married Clare DeNelle Morgan and they have four children, George D. Nelson, III, Catherine T. Nelson, Dr. Morgan Nelson, and Spencer R. Nelson. After their grandparents’ death, the children inherited their ownership of Querbes & Nelson. Carolyn Querbes Nelson joined the firm in 1981. She received her BA from Sophie Newcomb College at Tulane and received her Masters in Art History from the University of Texas. Carolyn had a 25-year career as a Managing Director until her death in 2013. In 1999 Michael D. Belanger joined the Querbes & Nelson team as a Risk Advisor. 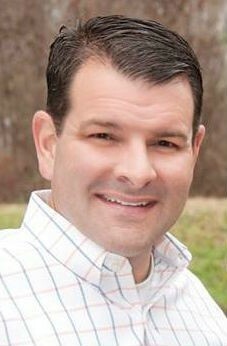 Mike Received his BA from Louisiana Tech in 1996. Mike has made a significant contribution to the organization and has grown to become a key member. In 2010, Mike acquired an equity ownership in the agency which will provide a continuity plan for the continued growth of Querbes & Nelson. Established in history, Querbes & Nelson is a stable source for insurance. We are committed to serving the needs of our varied clientele. With over 100 years behind us, we look forward to many more, insuring our future together. Antoine Querbes and Alerieux Querbes left France in 1850 to start the American dream in New Orleans. They were the parents of 7 children, all of whom died in childhood, except Andrew Querbes. Andrew was born in New Orleans in 1964 and reared in Mandeville, Louisiana. After his father’s death in 1866, Andrew moved to Shreveport with his widowed mother and opened a grocery store called the New Orleans Store on Commerce Street. The business flourished and developed into a large wholesale firm. In 1889 Andrew married Alexandrine Ricou, the daughter of another prominent grocer, Justin Ricou. Andrew went on to leave the grocer business to serve as Vice President and President of First National Bank along with other public and civic roles, including two terms as Mayor of Shreveport. Andrew and Alexandrine had three children, Andrew Querbes, Jr., Justin R. Querbes, and Randolph A. Querbes. Both Andrew Jr. and Randolph were killed in a fiery plane crash in 1954.